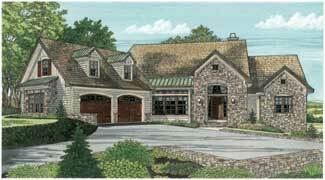 Total Living: 3,014 sq. 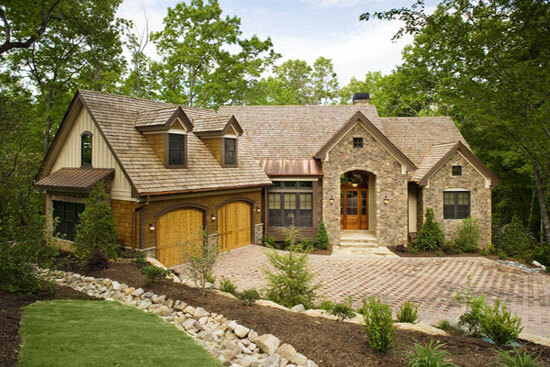 ft.
An angled garage entry, copper roof accent, and a mixture of stone and siding add cottage appeal to the exterior of the Laurelwood. The rear of the home features bay windows and porches on the main and lower levels. 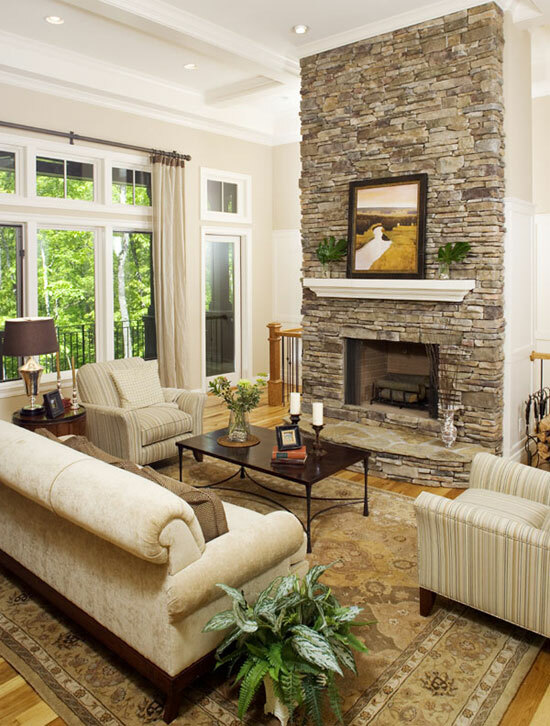 The great room is warmed by a stone fireplace which divides the staircase to the lower level.